We are a holiday rental agency that has been assisting visitors to find accommodation in Barcelona for over 10 years. We have an apartment available for professional bloggers to holiday in that’s right by the internationally renowned UNESCO World Heritage Site; the Sagrada Familia. It’s an apartment ideal for solo travellers or couples and friends, so candidates are free to bring along a partner (there’s one double bed and one fold-out single bed). We also have other apartments in the city centre, close to famous landmarks. We are primarily looking for influential professional travel bloggers of any kind. 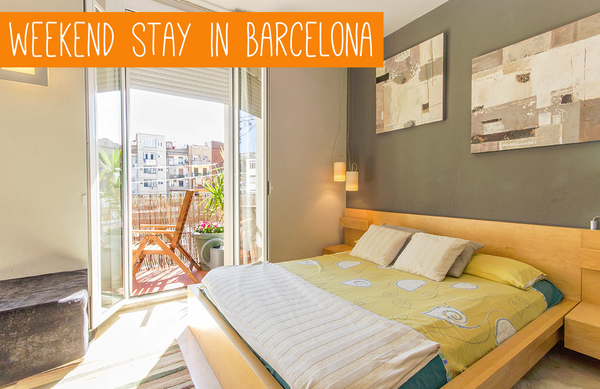 Ideally you will be passing through Barcelona as part of your travels. Bloggers with the ability to produce videos and strong social media engagement will take priority. The blogger will receive a stay in one of our apartments and are welcome to bring their partner and/or friend. The length of the stay can be agreed upon depending on promotional power and opportunities (blogging, social media strength, video production abilities, etc). There are also the aforementioned Torre Bellesguard tour and Flyboarding. We can also provide free chauffeur between the airport and accommodation.